Russia has passed a new visa law! This is good news. As of September 9th, people may apply for a three-year visa. Now, if you jumped out of your socks with joy, collect those striped paw accessories and read on. This is a step in the right direction, with or without socks. It means that a tourist, businessperson or private visa holder may stay in country for up to six months at a time. They then have to exit the country, but may return immediately. Of course, that will have to be tested to see if border officials will immediately allow visa holders back into Russia or not. 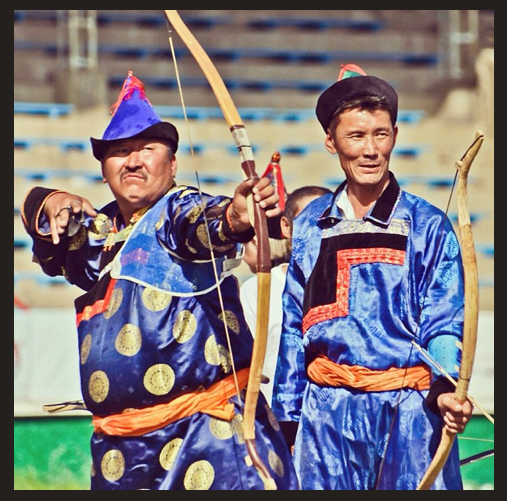 In Russia one can interpret a law quite creatively and entirely different from day to day. Businessperson + 6 months stay = exit for six months before you may return on the same visa. *The revisafication process could be anywhere from one week to one month, the Russian consulate being in possession of your passport the entire time. **During that period Russian citizens were issued two-year visas to the United States with no requirement to exit the US until the visa expired. Berlin. What goes through your mind when you hear her name? (Seriously, please respond in comments below. What comes to your mind when you hear “Berlin”?) I recently returned from Berlin, where I spent a week getting a Russian visa. Ahhhh . 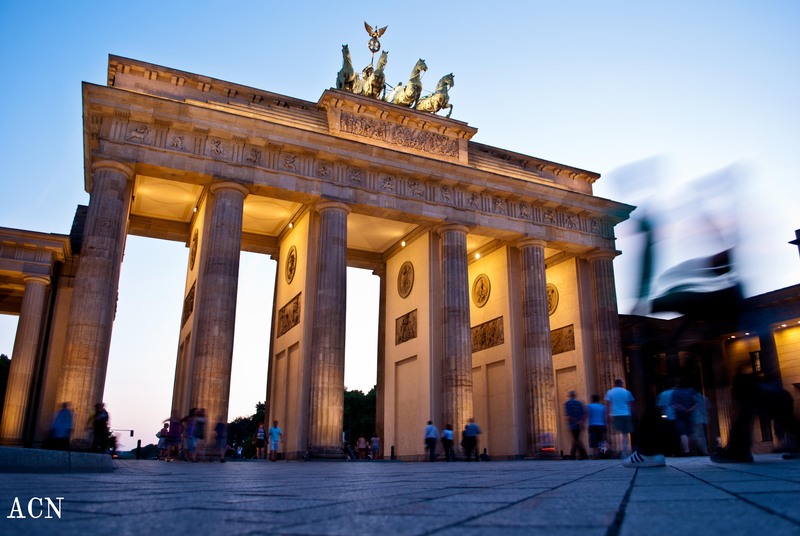 . . a summer evening at Brandenburg Gate. For me context is everything. You can’t understand a place or person now, if you don’t know from whence they came. So, I am a student of history, and history in Berlin is apocalyptic. And fascinating. Scratch the surface of the city, and it bleeds tragedy. 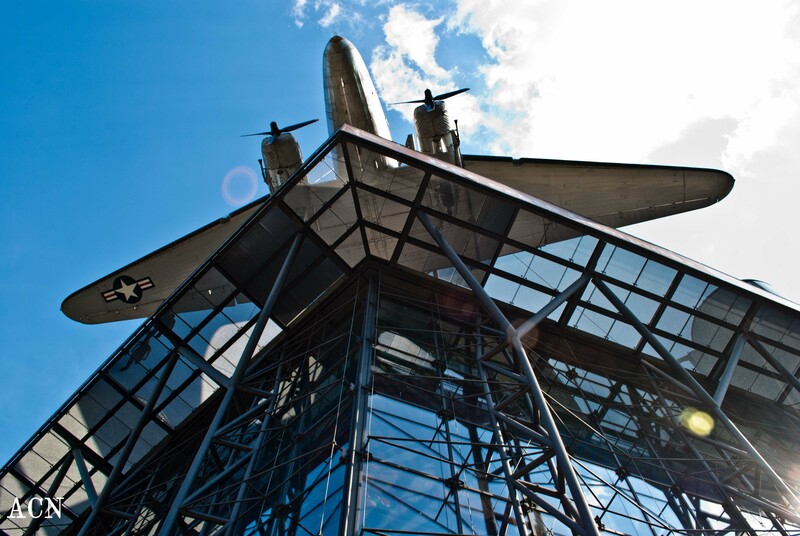 The Technical Museum crowned by a C-47 Skytrain, workhorse of the Berlin Airlift. Berlin for me gives rise to witch’s brew of emotions I have trouble sorting. Yes, it is the genocidal Third Reich unleashing Death’s head, it is the lament for six million Jews sown into the ground, and it is my German ancestry. 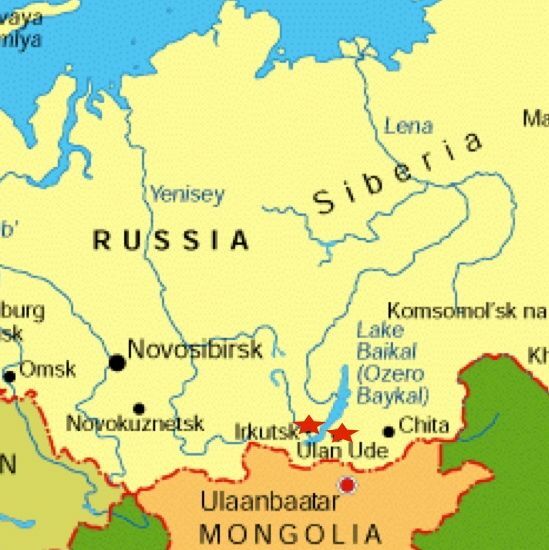 My family left Germany for the Volga river valley in Russia in the 1760’s and yet, I wonder . . . If I had been in Germany, would I have stood against the Reich powers like Dietrich Bonhoeffer, or kept salute hand up, with my head down, mouth shut? 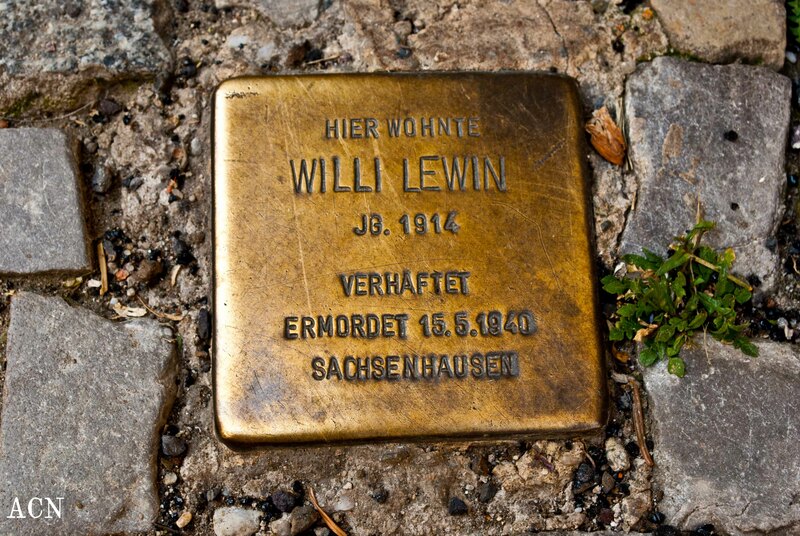 Translation: Here lived Willi Levin, Year Born: 1914. Arrested. Murdered May 15th, 1940 at Sachsenhausen Concentration Camp. Reminders of war and Holocaust are ever present in Berlin. From the small brass Stolpersteine (literally “stumbling blocks”) embedded in sidewalks throughout the city at addresses where Jews were arrested and sent to concentration or death camps, to rubble unearthed any time the city digs up its foundations. There is the Memorial to the Murdered Jews of Europe, the Topography of Terror (a museum that recounts the crimes of the Third Reich and maps out the buildings inhabited by Hitler, Goering, Himmler, Eichmann and Goebbels, most of which have been utterly destroyed), Nazi buildings that survived the war including the Olympiastadion and the Air Ministry, and pockmarks from bullets and shrapnel that mar many a structure throughout Berlin. But what about the peace of Berlin? For peace is to be had there. Seated beneath Linden trees on “Unter den Linden” street on a summers eve observing strollers through Brandenburg gate is peaceful. Walking the long green breadth of “Tiergarten” in the sun’s igneous rays brings peace. Sipping coffee in a cafe as a thundershower power-washes the street is peaceful. Barbequing in the park with friendly Germans and Turks brings a satisfied feeling of peace. 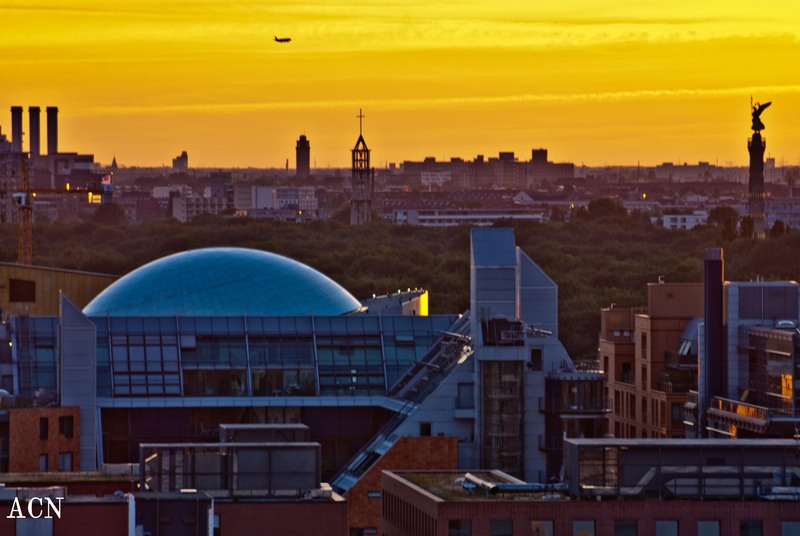 As the burnished sun sets over the Berlin metro-scape, casting the city in amber, a sense of peace wells up in the heart. Many are the reminders of war in Berlin. But there is forgiveness. Forgiveness enough to wash the hearts of the guilty, and replace their burden with . . . eternal peace.